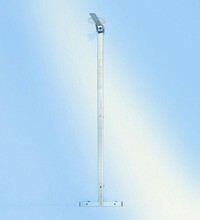 Specially developed for wall mounting, this measuring rod is aligned to work exactly to 1/8 inch from head to toe. Its broad measuring slide and heel positioner are professional prerequisites. 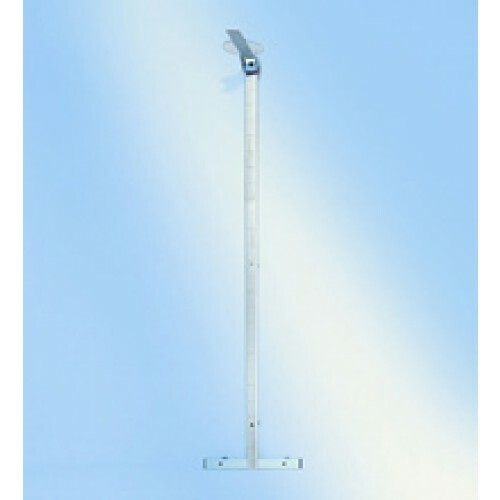 The telescopic measuring rod ensures that the result can be easily read-off at eye level even for the tallest patient. When not in use, the measuring slide can be folded down for safety. As a medical doctor, we always have to make sure of accuracy. Not only for major things like medicine administration and monitoring but also in as minor as height measurement. This measuring rod is mounted in my clinic's wall. I have not tried changing to another measuring tool because this works perfect. In my clinic office I had to have something to measure patient's height. I think I made the right choice. First of all, it's easy to measure and see the result. Second of all when you don't have to use it, it can be folded for your space and safety. Just handy!